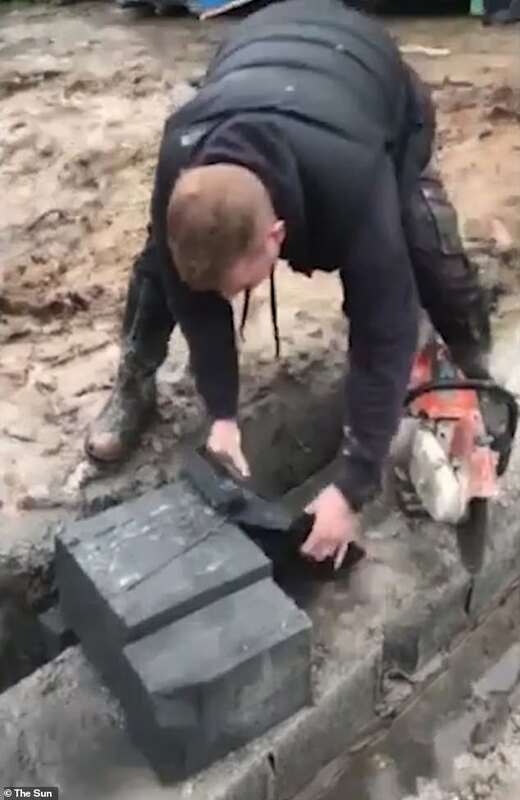 A builder has been dubbed 'dad of the year' after sawing his son's £400 PlayStation in half because it turned him into a 'k***head'. 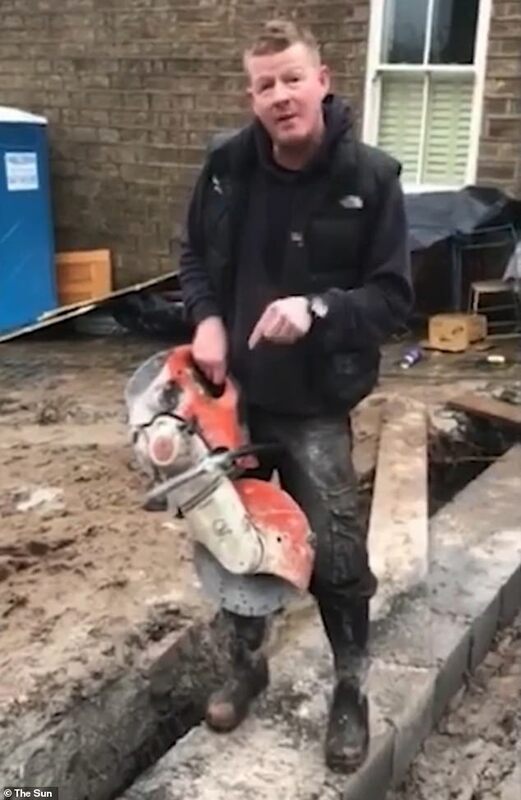 Simon Shaw, from Saddleworth, Greater Manchester, gave the thumbs up as he was filmed firing up a cut saw. The father-of-two grinned as he took the noisy power tool and sliced the games console in half as sparks flew. Mr Shaw then held up the broken pieces of the PlayStation to the camera before he threw them on the ground and gave the middle finger. Mr Shaw posted the video on Facebook and some social media users dubbed him 'dad of the year', according to The Sun. But other social media users criticised Mr Shaw's decision and said that the father could have donated the expensive toy to charity instead of destroying it. One user wrote: 'I get the whole confiscate the computer etc but with the country being in s*** state and food banks using asking for present donations etc, that could have made a whole families Xmas.